When you make a donation to Zoo Atlanta, you are an active participant in conservation and education. Donations to the Zoo enable us to maintain our exemplary level of care for our animals, as well as equip us to continue to be world leaders in conservation initiatives both here at the Zoo and across the globe. 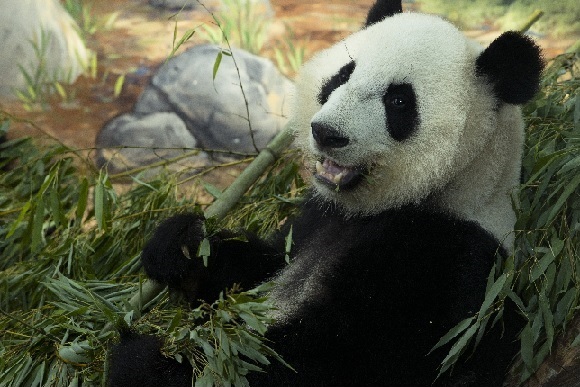 Thank you for helping Zoo Atlanta continue to be a leader in conservation and education. Zoo Atlanta is a 501(c)(3) not-for-profit organization. All contributions to Zoo Atlanta are tax-deductible to the fullest extent allowed by law. Gifts of all sizes are important and make a difference! With a donation of $1,000 or more, you will join Zoo Atlanta's Conservation Society and receive several exclusive benefits. © 2019 Atlanta Fulton County Zoo, Inc. All rights Reserved.